Renowned Kenyan DJ Kalonje has finally opened up about his former relationship and what happened after it ended. DJ Kalonje, real name George Waweru ended his 7-year relationship with ex-fiancé, Sonnie not too long after going on one knee and asking for her hand in marriage. When they broke up, the Mix Masters Entertainment CEO got into another relationship the same day. 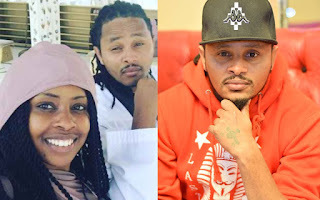 During an interview with Radio Jambo, DJ Kalonje admitted he felt there was no time to waste after calling it quits and by evening, had gotten another girlfriend. In the post which was consequently deleted, DJ Kalonje appreciated his ex for the seven years they had together and wished her well. DJ Kalonje is known for his hot mixes and was awarded Chaguo La Teeniez Award in 2010. From then on, Kalonje soared, becoming the first Kenyan DJ to feature on a BET Experience interview in 2017.